During the early-'90s alternative wave, veteran Japanese indie rock trio Shonen Knife made major fans out of alt-rock's elite (Sonic Youth, Nirvana, and Redd Kross, among others) and built a solid worldwide cult following with their Ramones meets the Beatles brand of sticky-sweet punk-pop. 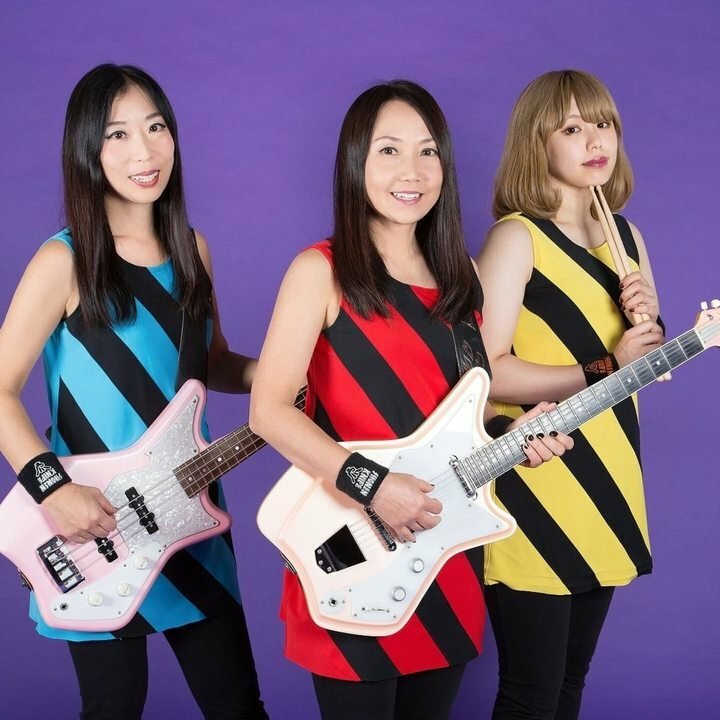 Formed by Michie Nakatani (vocals, bass), Naoko Yamano (vocals, guitar), and Atsuko Yamano (drums), Shonen Knife started in December 1981 in their hometown of Osaka, Japan, where all three members were working as office clerks. Soon they been supporting Nirvana on tour and signing contracts with US major labels like Capitol Records or Virgin Records. 24/7 DIVA HEAVEN is a brandnew killer riotgrrrl outfit from Berlin. If you dig L7, Babes In Toyland or Hole, you gonna love the "divas".